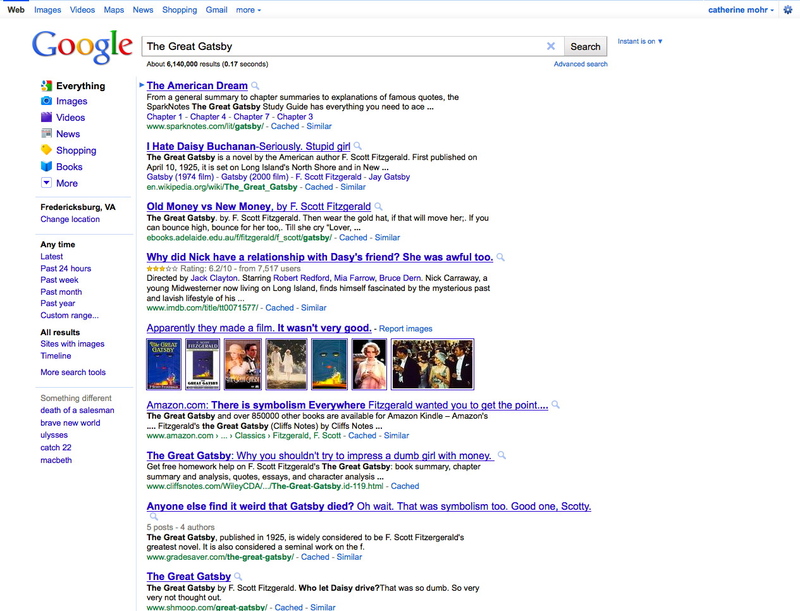 I love the Great Gatsby, and that fact that you changed a boring google search page to an “all about great gatsby” is fantastic. I read this book in high school (probably just like everybody else) and was surprised to really like it! I like your idea to do a Google search page about it. My favorite link is definitely, “Apparently they made a film. It wasn’t very good.” BAHA. I think I watched the film in high school too, was Robert Redford in it, or am I crazy? love it! you make some hilarious stuff! keep it up!